Nowadays consumers have a lot of choice when it comes to whiskey brands. That’s why it’s important for distilleries to distinguish themselves from the rest. They all use different ways to make their whiskey more appealing than the competition. In this case Highland Park uses unique packaging to make their whiskey stand out of the crowd. Highland Park is a scotch whiskey distillery located on Orkney Islands, Scotland. Highland Park is currently releasing the Valhalla collection. 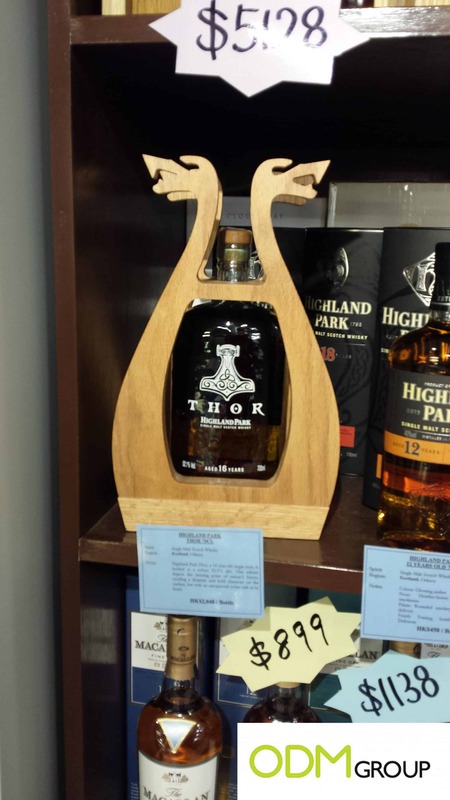 It is a series of single malt scotch whiskies revered to Orkney Islands’ history of Norse Gods. The unique packaging for the Valhalla collection is made from high-end wooden material reminiscent to a traditional Viking long ship. It is definitely an eye-catcher and more appealing for the customer to choose this product. Furthermore the traditional Viking long ship gives the whiskey a Norse Viking feeling that Highland Park wants to bring over to the customer. Due to the high-end wooden material and unique design it is a great collectors item for a customer to have. For companies that want to distinguish their product it is good to consider taking the whiskey packaging as an example. By having your product with unique packaging it is a great way to boost your brand identity with minimum costs. In the end your product will become more unique and more appealing to the customers, which will result in an increase of sales. 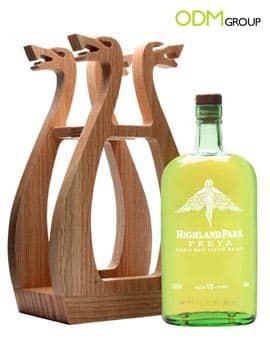 Consider having a look at these packaging styles or find out more about Highland Park. If you are looking for a unique packaging design do not hesitate to contact us or our design team at Mindsparkz.